Sell pressure was persistent on the Nigerian Stock Exchange (NSE) on Wednesday with major blue chips recording price depreciation forcing the index to drop further by 2.11 per cent. Dangote Cement, one of the highly capitalised equity, recorded the highest loss to lead the laggards’ table dropping by N7 to close at N209 per share. Nigerian Breweries trailed with a loss of N5.60 to close at N82.40, while Stanbic IBTC shed N5.25 to close at N47.25 per share. Guinness declined by 40k to close at N73, while Presco dipped N1.80 to close at N56.20 per share. Consequently, the All-Share Index declined further by 701.61 points or 2.11 per cent to close at 32,466.27 as against 33,167.88 on Tuesday. Similarly, the market capitalisation which opened at N12.108 trillion shed N206 billion to close at N11.852 trillion. On the other hand, International Breweries led the gainers’ table, growing by N3.05 to close at N33.55 per share. Air Service followed with a gain of 60k to close at N6.60, while Forte Oil gained 40k to close at N22 per share. 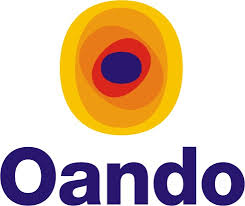 Oando gained 25k to close at N5.30, while C & I Leasing increased by 20k to close at N2.80 per share. In the same vein, the volumes of shares traded declined by 31.26 per cent, while the value of shares dropped by 37.06 per cent. Specifically, a total of 212.51 million shares valued at N3.77 billion were exchanged by investors in 3, 211 deals. This was in contrast with a turnover of 309.16 million shares worth N5.99 billion traded in 3,418 deals on Tuesday. Guaranty Trust Bank was the most active stock, trading 43.59 million shares valued at N1.63 billion. Zenith Bank followed with an account of 29.564 million shares worth N695.77 million, while FCMB Group traded 22.19 million shares valued at N33.64 million. Fidelity Bank traded 15.23 million shares worth N30.55 million, while FBN Holdings sold a total of 13.98 million shares valued at N114.52 million.